Maybe you like the idea of camping but don’t own (or care to own) the requisite equipment. Enter “glamping,” a hybrid word referring to rustic-chic, outdoor-oriented lodging that doesn’t involve pitching your own tent. A new player on the scene, Inn Town Campground, just outside the Gold Country town of Nevada City, does it right with a colony of safari-style tents outfitted with electricity, comfy beds, fresh linens, artsy accessories and outdoor seating. Eight of the 15 tents are dog-friendly (one is also ADA accessible), and all share amenities including Wi-Fi, camp lodge, kitchen, barbecue area, laundry, showers and camp store. 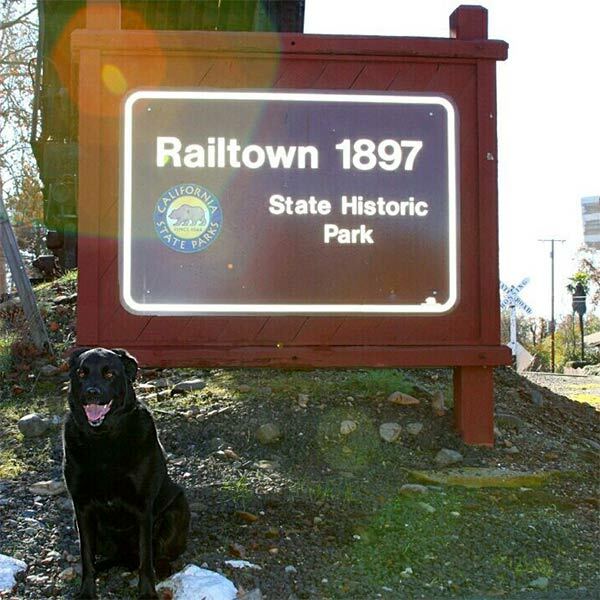 Regular tent and RV sites are dog-welcoming, too. Nevada City and neighboring Grass Valley are outdoor recreation magnets that also host many music and cultural festivals throughout the year. In Mendocino County, the Mendocino Grove campground, on 37 wooded acres between Mendocino Village and Big River, offers roomy safari tents that come fully outfitted with a queen bed, down comforter, cotton linens, sling-back chairs and fire ring. Showers and restrooms with heated floors and plenty of towels are nearby. The just-opened campground will welcome guests through mid-October and requires a two-night minimum stay; it opens again next May. Vintage travel-trailer parks are another glamping trend, offering a fun twist on the RV experience. 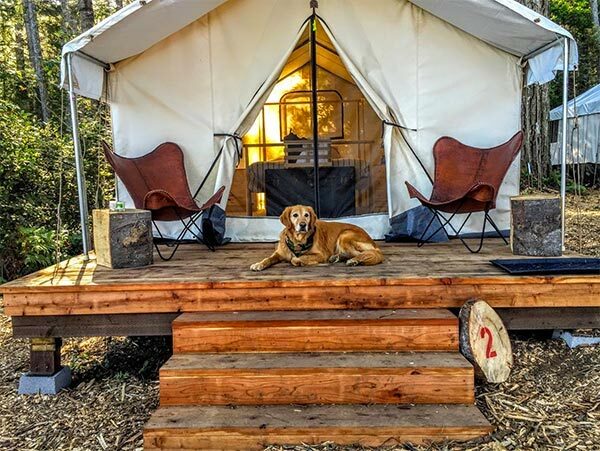 Dog-friendly examples include the AutoCamp Airstream Parks in downtown Santa Barbara and just outside the Russian River (Sonoma County) town of Guerneville. Smartly refurbished in a variety of styles, from retro to Euro-chic, the trailers moored here come with plush bed linens and bath products, kitchenettes, decks and a gas grill. Moving south to the desert, Kate’s Lazy Desert Airstream Motel, six miles from Joshua Tree National Park, is a village of six Airstreams restored “to wacky perfection” by artists Phillip Maberry and Scott Walker, whose house is featured in the B-52’s “Love Shack” video. Three of the trailers are dog-friendly. Small dogs are preferred, so if yours is on the large size, please call first.